I’m back from SIGGRAPH 2017 and I wanted to share with you this amazing custom computer I saw at the expo. 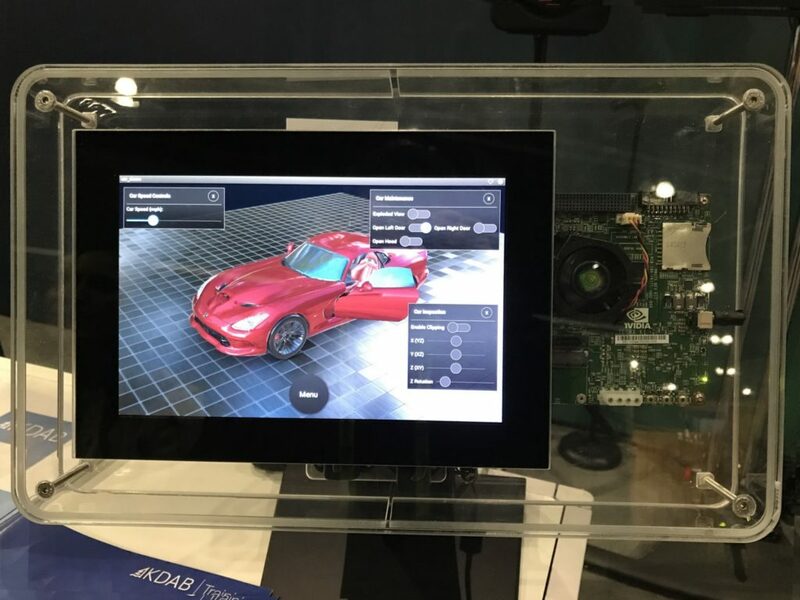 A computer made out of a Tegra K1 SoC, a touch screen and a custom-built enclosure. This computer consists of a NVIDIA Tegra K1 System-on-Chip (SoC) that has a touch screen connected. It is housed in a custom-built enclosure that somewhat resembles an iMac and other “all in one” PCs out there. What I find fascinating is how using off-the-shelf components, one can simply build an “appliance” that showcases 3D tech and/or art for a booth. I’m excited about this project. I will start looking into it once the renderer is more mature. This entry was posted in Hardware by Ale. Bookmark the permalink.